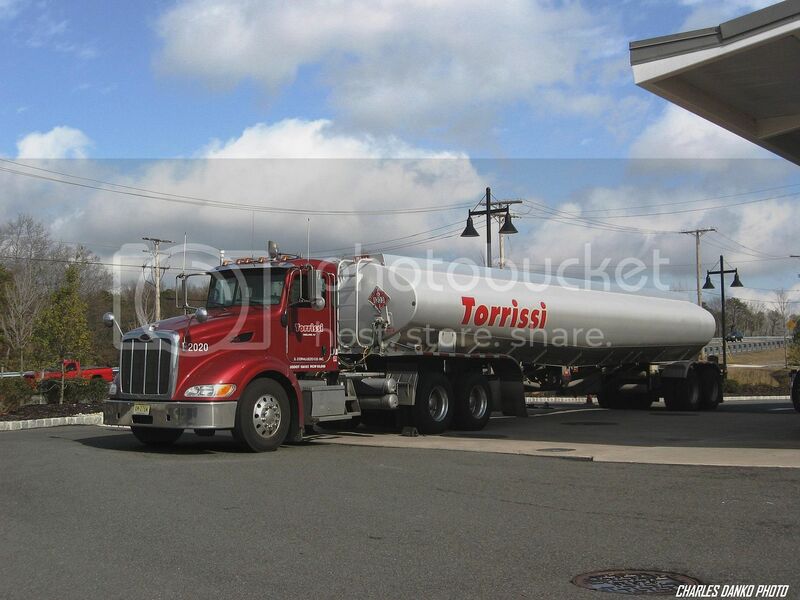 A sunny afternoon on the 1st of March 2012 finds a Torrissi Pete 384 tanker unloading some of that $3.55 a gallon gas at a Wawa store in Barnegat NJ. At $3.55 a gallon, what do you figure that truck is worth as it sits??? The load is between $24,000-$27,000 +/- depending on tax & profit margin. Here's a 3/2/12 3-pack of new Western Stars from Portland, Oregon as seen layed-over in Kennewick along Hwy 395. A Celadon Prostar bobtails past the Toronto Kenworth dealer on Dixie Road in Mississauga. Took this one this afternoon along Highways 10-55 between Sherbrooke and Magog Qc. 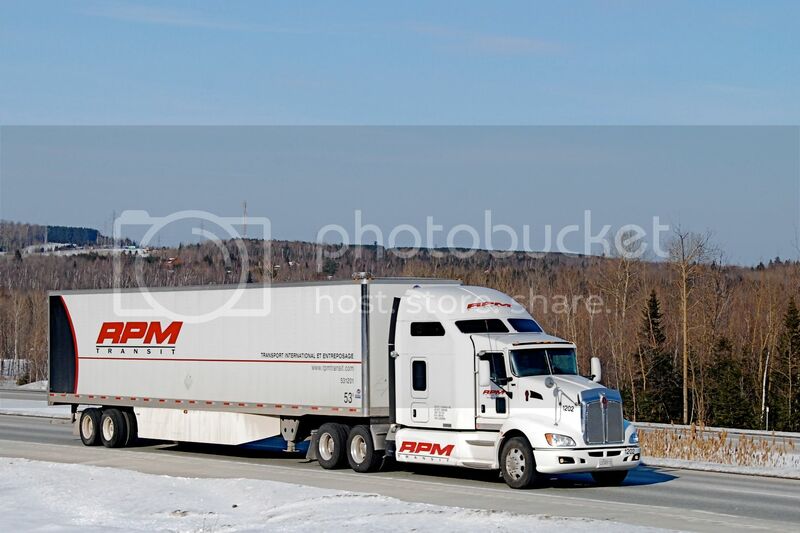 RPM Transit is a small carrier based in Richmond Qc. I had no idea what this pic was on first glance and thought it might be a mover hauling storage containers. I googled up the graphic info on the tarps as well as the Orange County Fire authority and the Orange County Seal--the seal on the cab door is the Orange Co. Fire Authority seal and it also appears on the box under the trailer along with the Orange County seal which is also affixed to the luggage compartment door on the tractor. Thursday morning, March 8th, System Transport continues to haul wind turbine blades from the Pasco Wind Energy transload facility for new wind farms being constructed in the Columbia River Gorge. 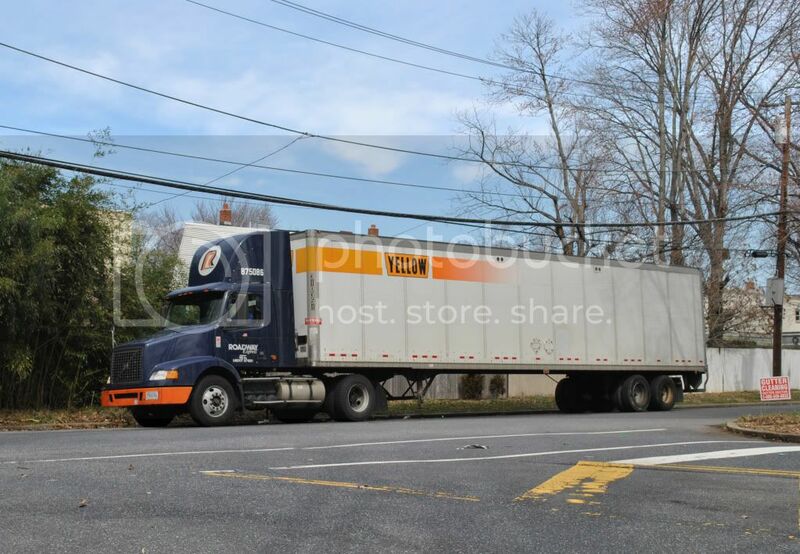 Friday March 9- YRC combo leaving the Bunzl Distribution Center. Pathmark closed the Manahawkin NJ store the beginning of the month and today 3-10-12 i noticed this Mack hauling some equipment out of the store. 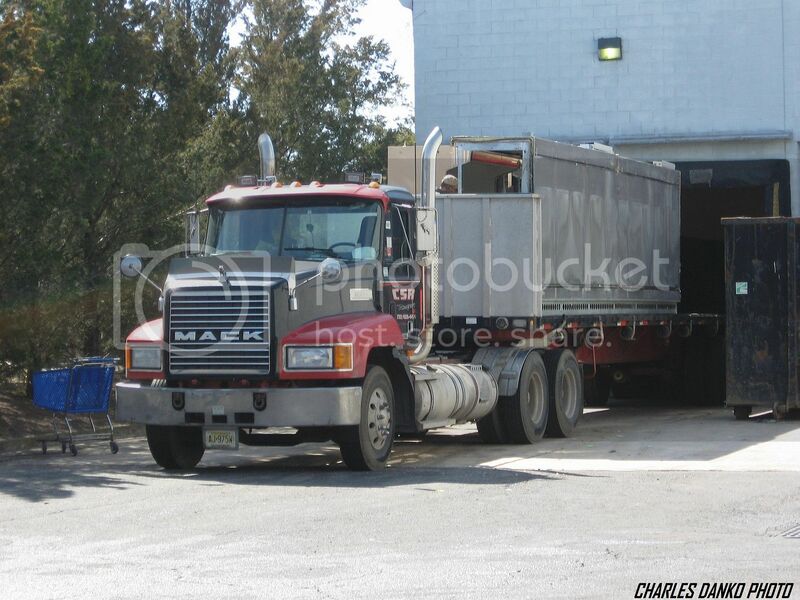 Sunday March 11, a Wood Chip hauler has just left the dump ramp, an Arrow 2nd gen Coronado. Sunday March 10, a Wood Chip hauler has just left the dump ramp, an Arrow 2nd gen Coronado. 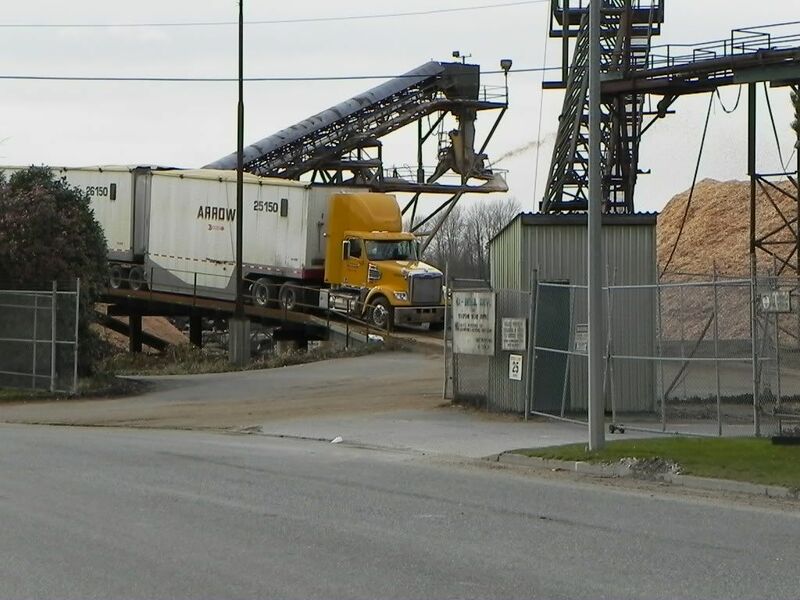 Sunday March 11, a Wood Chip hauler has just left the dump ramp, an Arrow 2nd gen Coronado. If I had been 2 minutes earlier I would have caught him on the ramp in action!